I’m pretty sure we all have seen many unbelievable and bizarre disguises in the past. Thanks to the Internet, the door to the new and the interesting is always open for each and every one of us. What you probably haven’t seen though, is an optical illusion as good as this one. An optical illusion that has you blink over and over again, trying to understand how what you’re seeing is actually not what you think you’re seeing. Italian artist Johannes Stötter created a chameleon by body-painting and putting together two women. Mastering the art of illusion, Stötter did an amazing job at succeeding a realistic result. 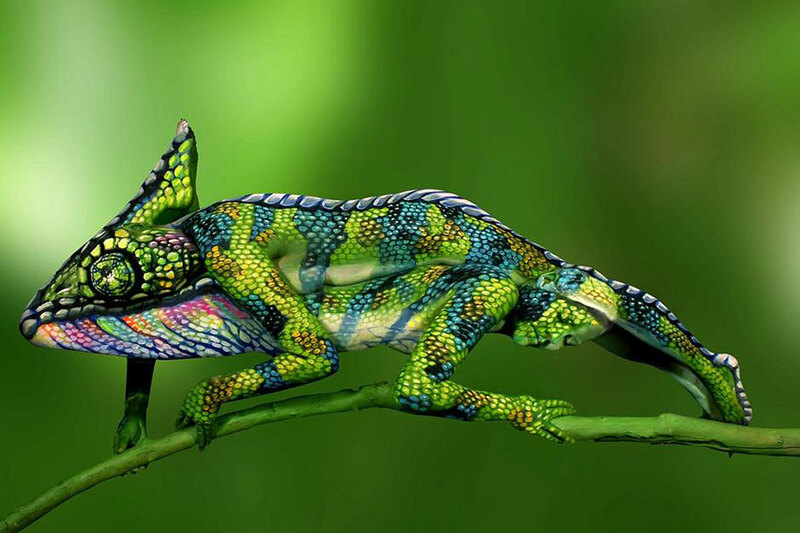 Even the most observant viewer can’t quite say how this image depicts two women on top of each other -in a chameleon way. Only after watching the video above and seeing the women get up, one can realize what exactly they were looking at all this time. 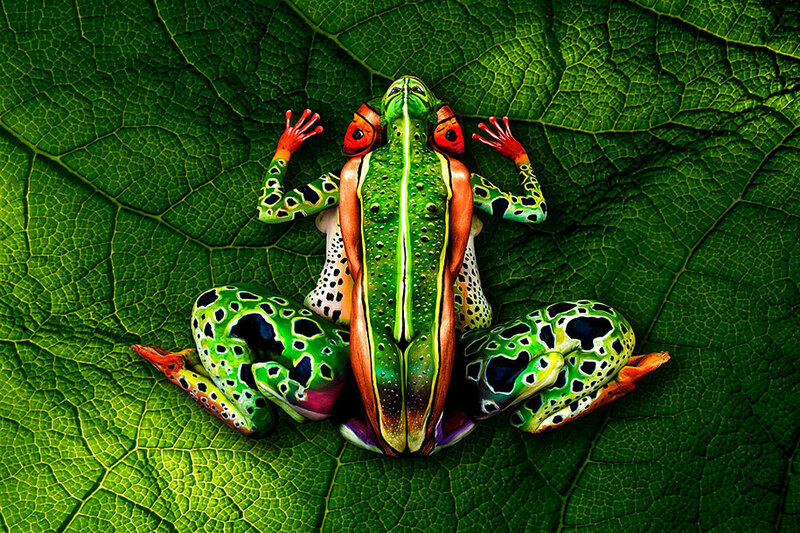 Johannes Stötter is an awarded body painter who became famous a few years ago, with his similar themed work, a five-person frog.